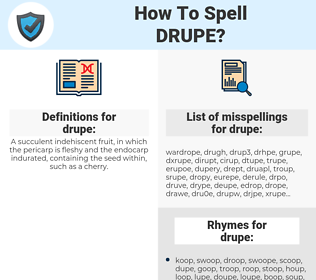 What are the misspellings for drupe? What are the common mistypes for drupe? What is the definition of drupe? What are the rhymes for drupe? What are the translations for drupe? 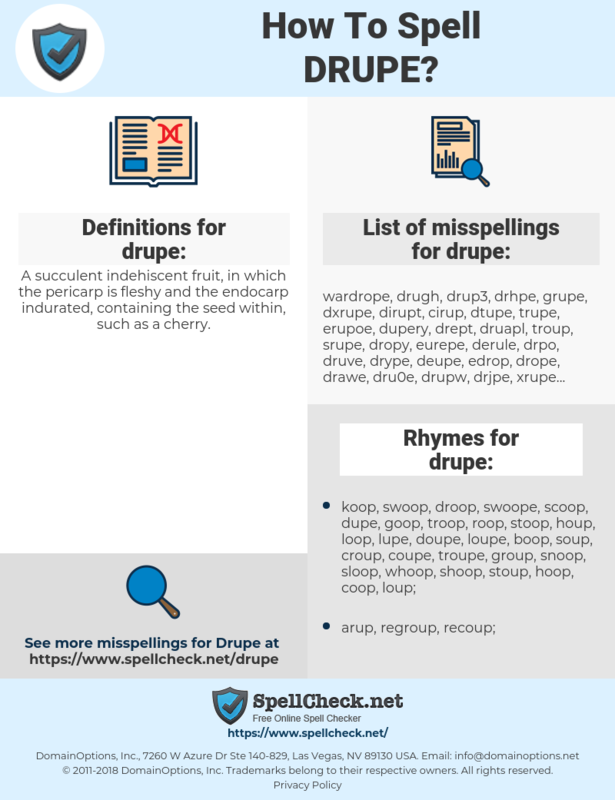 What are the common typos for drupe? A succulent indehiscent fruit, in which the pericarp is fleshy and the endocarp indurated, containing the seed within, such as a cherry. This graph shows how "drupe" have occurred between 1800 and 2008 in a corpus of English books. আঁটিযুক্ত রসালো ও শাঁসালো ফল.